Manavgat is the second largest town of Antalya province with the surface area of 2283 square kms and has the great waterfall known as Turkey’s Niagara on Manavgat river which is the most regularly flowing river of Turkey. Turkish visitors enjoy coming here not only watching the great waterfall but also having a rest in the cool atmsophere around. 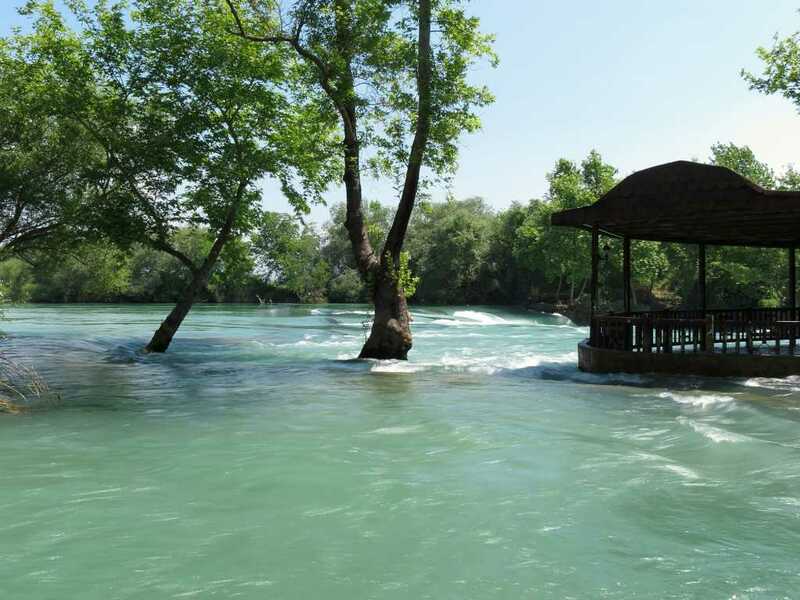 Manavgat has also one of the well-known holiday resorts of Turkish Riviera, Side, which is visited by millions of holiday-makers all over the world today. Manavgat is 52 kms far from Antalya airport and its neihbours are ; Sütçüler and Derebucak in the north, Ibradı, Akseki, Gündogmus in the east, Alanya in the west and it is surrounded by the Mediterrenean sea in the south with a 64kms long coastline. 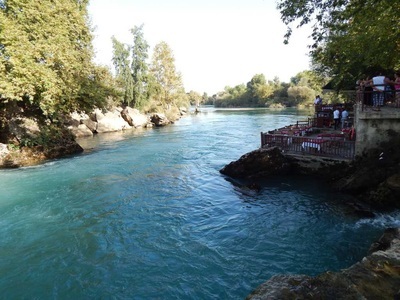 To reach Manavgat is very easy and it has a good highway from Antalya by road. The population of Manavgat is about 75,000 in the town with the villages about 165.000, one of the most densily populated settlement because of good waether conditions and touristic opportunities. According to the recent researches, the history goes back to the 11th C BC and the first settlement was done here as one of the Greek colonies around present Side today. As we can understand from Hittite cuneiform inscriptions, the area was called as Pamphylia. In 6th century BC, the area was ruled by the king Coresos of Lydia and later invaded by the Persians which lasted about three hundred years occupation until the time of Alexander the Great. In 334 BC Alexander liberated the whole area, when he passed away, his generals shared the whole empire and Pamphylia,Lycia and upper Phrygia were given to general Antigone but later another general Selecuid captured the region as the king of Syria. In 188 BC, Pamphylia was added to kingdom of Pergamum by the Roman senate after the naval battle over the Rhodes around Side. When the kingdom of Pergamon was gifted by Pergamene king Antiochus III in 133 BC, the Roman period began. In 78 BC Roman general Pompei made the permanent sovereignty of Rome as to clean all the pirates in the region of Pamphylia.Marcus Antonius gifted the region to Cleopatra as the wedding gift in 33 BC so it was ruled by the Egyptians for a short time but Augustus added the region to Rome after winning the victory over Marc Anthony and Cleopatra. In Roman period, from 27 BC to 192 AD Pamphylia has been one of the most important income sources of Roman empire with it natural sources, slaves and agricultural products. When the Roman empire split into two at the end of the 4th C AD, the region was ruled by the Byzantines and the region became an episcopal see of Christianity. In 7th C AD, the Arab raids began and the area was plundered by the Arab forces for a long time and all the monuments were destroyed by them.The pirates from Rhodes also made a great damage to the Roman monuments during the medieval age. In 12th and 13th centuries AD, Seljuk Turks came and settled down in the area as the nomadic tribes to look after their thosands flocks of sheep and goats. Karamanlids, Hamids and Teke Turkish states were the rulers of the region till Ottoman period in 1462. Mehmet the II took over the Mediterrenean region and Manavgat became another naval base in the area after Alanya. In 1923 it became one of the towns of Antalya province. Manavgat river is the world's longest underground river with the amount of water supplied from a single source. 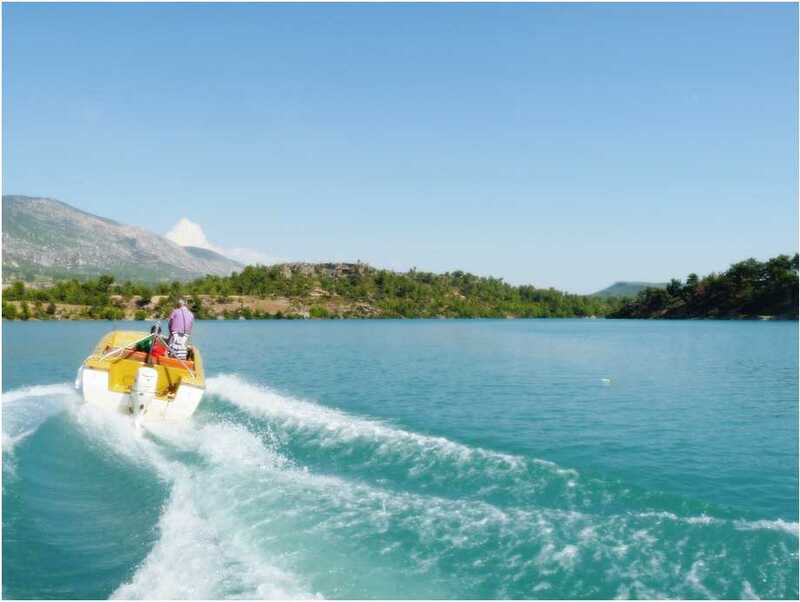 There are two dams on called Oymapınar and Manavgat to produce the electricity of the regaion and to water the fertile plantations. Their waters are turquoise green rich in minerals, clean and clear. 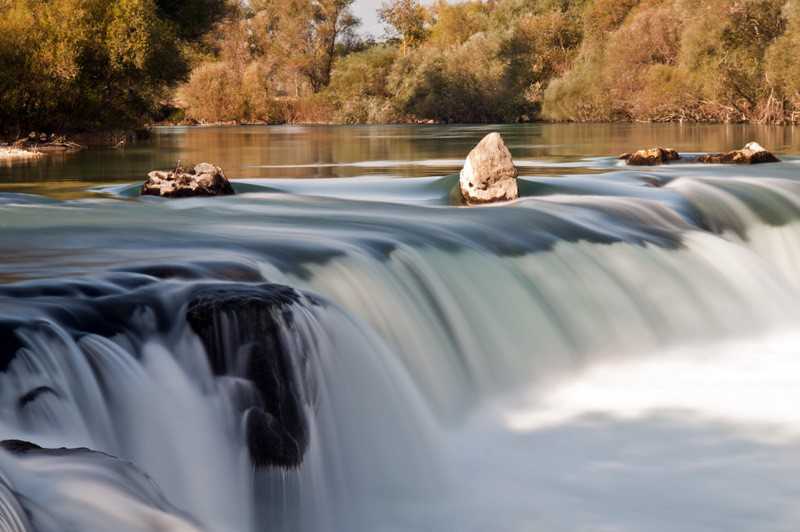 The Manavgat river is also the home of many fish and bird species such as trout, carp, chub, perch ,tench fish and hen, duck, goose, kingfisher birds. There is a rich diversity of plants along the river with willow, sycamore, poplar and mulberry trees. If you have a boat trip along the river, you can see freshwater turtles sunbathing on dry logs. Rich citrus orchards and greenhouses are located on both banks of the river filling the fertile lands. 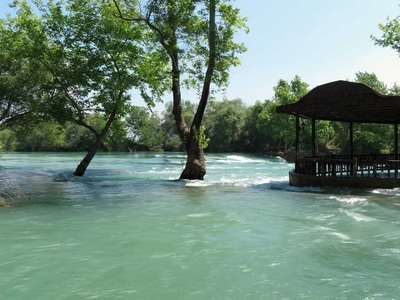 Manavgat River is also the host to local and foreign tourists with daily boat trips in recent years. 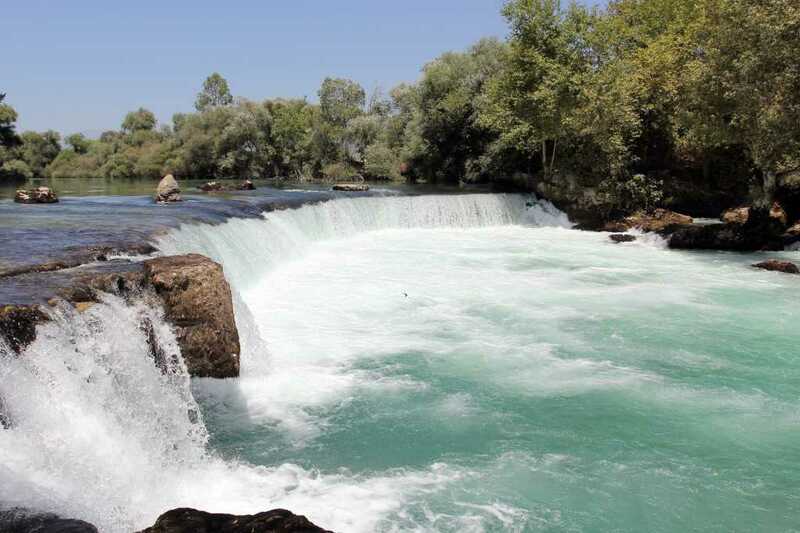 It is about 3kms far from Manavgat down twon located in the west and mini buses take the visitors to the waterfalls. Despite of falling down from a high point, it creates surprisingly a thundering flow worth seeing over a wide area. 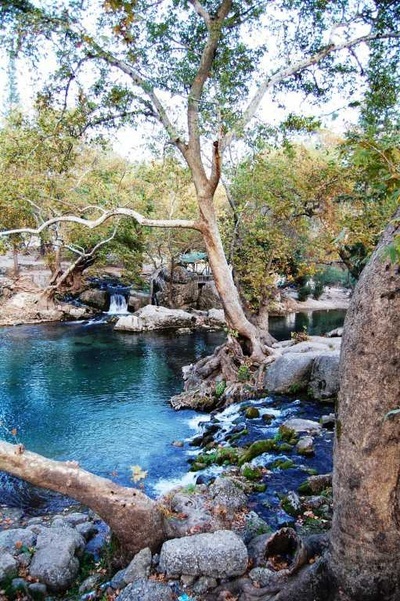 There are picnic areas around the waterfall suitable for those who want to stay in love with nature away from city noise. Visitors can either eat fresh fish in the restuarants or drink famous Turkish coffee while watching the splendid panaroma and the splash of the water with nice breeze coming from the waterwall. The atmosphere is so impressive that you can feel yourself as if in front of Niagara Falls when you close your eyes.